In recent years, a Greater (widened) Middle East, which additionally includes Central Asia and the Caucasus, is gaining the attention of the international community more and more. In the past such attention has been connected with many of the world’s oil and natural gas reserves and ways to transport them, as well as numerous regional conflicts, some of which were armed. Subsequently, because of the “Islamic wakening” (a more precise term than “Arab spring”) and the continued intervention of the U.S. and its allies in foreign states’ internal affairs, internal instability has intensified greatly in the region, to the point of becoming a threat to the national interests of the Russian Federation and its allies within the Collective Security Treaty Organization (CSTO) and partners in the Shanghai Cooperation Organization (SCO), including leading regional players: The Islamic Republic of Iran (IRI) and Turkey. The security situation in the Greater Middle East is growing worse. For example, the Afghan problem poses a potential threat to all surrounding states, for example by the growing illicit export of narcotics and by radical Islamic ideas. Presidential elections in Afghanistan in this case do not inspire optimism. American protege Ashraf Ghani Ahmadzai, previously the country’s Minister of Finance, won the elections in their second tour. He clearly supports signing the “Security And Defense Cooperation Agreement Between The United States Of America And The Islamic Republic Of Afghanistan.” This will ensure the presence of American troops in the country until 2024, when it is expected that American soldiers will be under U.S. jurisdiction, that is, they may not be brought to justice in Afghan courts. However, victory in the Afghan presidential elections was due to a large extent to multiple forgeries of the outcome. This gives another candidate, Abdullah Abdullah, previously the Afghan Minister of Foreign Affairs, a foundation upon which to not only challenge the election results, but also to start fighting for the forceful outing of the American appointee. All of this is occurring against the backdrop of the significant reduction in the number of foreign troops in Afghanistan, planned by the end of 2014, and the American withdrawal from the Manas international airport Center of transit. The above-mentioned parties more emphatically require the formation here of a unified security system, with the participation of all interested states, including Russia, Iran, Pakistan, India, Uzbekistan, Tajikistan and Turkmenistan. Unfortunately, China has been reluctant to participate in this process in view of the desire to make an agreement with the Afghan Taliban. Presumably this will provide Beijing significant advantages if at some point the Taliban comes to power in Kabul. The U.S. military presence deserves separate consideration as do, perhaps, some of their allies (for example, Germany) in Afghanistan after 2014. According to available data, 6.0 to 13.6 thousand foreign troops will remain in the country, which would not be enough to contain various kinds of extremists. Because of high corruption, lack of training and equipment, and vulnerability to radical Islamist propaganda, national armed forces and law enforcement structures would not be able to do this. Particularly, only 7% of all Afghan army military units (1 in 23 brigades) and 9% of structural police units have a sufficient level of training to fight the Taliban, a level which allows them to act on their own with minimum support from foreign troops. Not only Beijing, but Washington and Kabul as well have high hopes for negotiations with the Afghan Taliban. Most likely, this will lead to significant concessions on the part of the former three parties, resulting in the “soft Islamization” of Afghanistan in the best case, or the capture by the Taliban of authorities in Kabul in the worst. In such an environment, Afghan drug trafficking will increase significantly, as well as weapons smuggling, militia and radical ideas on the territory of neighboring Tajikistan, Uzbekistan, and parts of Kyrgyzstan. In one possible scenario, the Taliban, in conjunction with Al Qaeda fighters and “The Uzbek Islamic movement,” will create a political and military base in the Warduj district of the Badakhshan Province and gradually expand to neighboring districts Jurm and Yumgon. This would be the preparations for the Taliban capture of Northern Afghanistan that would constitute a real external threat for Central Asian states. Leaders of the said states clearly understand this, but would not be able to resist it without foreign aid. At the same time, Dushanbe and Bishkek are counting on military assistance from Moscow, and Tashkent – from Washington. It is entirely possible to avoid a negative scenario of events in Afghanistan, especially considering that Iran has serious leverage there, first and foremost over relatives of Tajiks and Hazaras. Iran has provided this country with substantial economic assistance. For example, in 2008, Iran built the Herat-Khwaf railroad, which includes 76 km on Iranian territory and a 115 km section on the territory of Afghanistan. And even in powerful heroin pressure conditions, Iran continues to give shelter and work to hundreds of thousands of Afghan refugees. Moscow and Tehran’s positions on the Afghan problem largely coincide. Russia is in favor of a complete withdrawal of foreign troops from the country and building a dialog between the country’s different political forces. At the same time, the Taliban once again coming to power in Kabul is not desirable for Russia because of the inevitable growth of non-traditional security threats that would result. Therefore, the Russian Federation and Iran need to coordinate their efforts in that matter, both on a bilateral basis and through establishing contacts between Iran and CSTO. An extremely complex situation remains in the Syrian Arab Republic (ATS). The winter international conference “Geneva-2″ has had very limited success, and Syria’s 2014 presidential elections were recognized as non-legitimate even before they took place by the West and the Arab states of the Persian Gulf. This allowed the U.S. and their allies to raise the question of the need for a sharp increase in the volume of and the range of weapons, including portable anti-aircraft and anti-tank rocket launchers, in order to arm the opposition to overthrow President Bashar al-Assad. In particular, the United States provides the so-called “moderate opposition” $500 million in different kinds of weapons and military equipment. There is no doubt that a large portion of this is in the hands of radicals because of both forceful capture and the sale of American weapons on the region’s “black” market. This happens when opposition forces are radicalized, when the moderate Syrian free army continues to degrade and its successor is not only the Islamic front, but the Islamic State of Iraq and the Levant, (ISIS) which until recently was generously financed by Saudi Arabia. Moreover, the latter organization has announced the creation of an Islamic state (caliphate) on the territory of Iraq and Syria that could lead to the disintegration of Iraq and the changing borders of all the surrounding states. In addition to this, with tacit support from Ankara and possibly Washington, Iraqi Kurdistan President Massoud Barzani called upon the regional parliament to establish a commission for preparing a referendum on Kurdish independence. Iraqi Prime Minister Nouri Al-Maliki has sharply condemned Kurdish leadership’s actions, including the armed seizure of the town of Kirkuk and its surrounding oil-rich areas. This caused real concern in Iran, where there is a significant Kurdish diaspora. Iran has the greatest influence on Iraqi Shiite Arabs, who constitute the majority of the country’s population. Due to a long border that adjoins the two countries, many Shi’ite religious shrines in Iraq, the need to maintain transport corridors in Syria, and a variety of other reasons, Iran has been actively involved in the resolution of the Iraqi crisis. In particular, no less than three battalions from the Islamic Revolution Guard and most likely the Iranian aircraft fleet are fighting in Iraq, with a view to preventing the forceful overthrow of Nuri al-Maliki’s government and the preservation of the territorial integrity of the state. And once again Moscow and Tehran have the same stance on the subject. This is reflected, for example, by the fact that on June 28th at the request of the national government, five Russian Su-25 assault crafts were redeployed to Iraq and are now deployed at the Al-Mutkhana base near Baghdad. Tehran, for its part, delivered to Iraq a batch of its “Ababil” unmanned intelligence aerial vehicles. They are now posted on the Rashid airbase, also under Baghdad, and are run by Iranian specialists. It is keeping the state in the air that now prevents the Sunni militia from organizing any large-scale offensive operations. There is still much uncertainty regarding the Iranian nuclear issue. At the end of G. W. Bush’s presidency, this almost led to regional war with unforeseeable consequences. Now the situation has improved considerably thanks to Irani President Hassan Rouhani’s efforts to resolve the nuclear crisis, as reflected in the “joint plan of action” agreement signed on November 24th 2013 in Geneva. In the near future a more comprehensive agreement between representatives of Iran and the six international mediators may be signed to resolve the Iranian nuclear crisis. 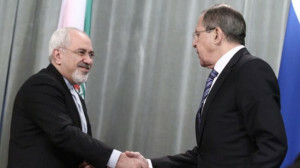 However, contrary to some expectations, this will not lead to seriously closer American-Iranian ties, firstly because of deep differences of opinion on resolving Syrian, Iraqi and Afghan crises, and because of Washington’s reluctance to completely remove unilateral economic and financial sanctions from Tehran. This process is planned to take ten years, so for the time being the question is one of lifting only banking sanctions from Iran. This will, on one hand, retain American and Iranian opposition, although at a substantially lower level. On the other hand, the Iranian side will have new opportunities for interaction with its partners in military-political and economic spheres. Russia is undoubtedly the most attractive regional partner for Iran. This is because of coinciding positions on most regional and global problems as well as the persistent desire to strengthen not only political and economic, but also military cooperation. Consequently, “constructive” partnership between the two states may be possible, and in the long term, even strategic partnership may be possible. In particular this implies that, with active support from Russia, main Iranian natural gas pipelines will be sent to the east (Pakistan, China, India). The process of involving Iran in Eurasian integration and establishing cooperation between Iran and CSTO member states in the South Caucasus and Central Asia will continue. At the first stage of the process, the latter can be realized through establishing working contacts at the level of the Analytical Association of the Collective Security Treaty Organization. In spite of some problems, Turkey retains high credibility throughout the region. It shows steady economic growth and serves as a transit corridor for petroleum for many countries. In these circumstances it would be useful to involve Turkey in a Russian-Iranian dialog with a view to enhancing regional stability and countering such non-traditional security threats as Islamic extremism and terrorism. The Russian initiative to establish a universal center within SCO to counter new challenges and threats, which, as a rule, come from non-regional players (the U.S. and other NATO member states) is extremely relevant here. It is clear that the situation in the regional security council largely depends on the interaction between Russia, Iran and Turkey, which is characterized by both traditional rivalry and sustainable cooperation. In particular, Tehran and Ankara constantly vacillate between confrontation and mutually favorable diplomatic relations, having a number of strategic differences on issues of regional security and economic cooperation. Both countries have openly expressed their desire to become a regional leader. They have chosen different political development plans along with their corresponding tactics for influencing the Greater Middle East. Nevertheless, leadership of both countries is based on a well-known approach in diplomacy: “a flawed peace is better than no peace at all,” which has first been confirmed by the results of Turkish Prime Minister Recep Tayyip Erdoğan’s visit to Tehran at the end of January 2014, and then by President Hassan Rouhani’s return visit to Ankara in the first half of June. In the course of the first visit, Iran did not call attention to Turkey’s unfriendly acts of installing Patriot anti-aircraft missile systems and other missile defense system elements, or to the two countries’ diametrically opposed positions on Syria. They still cannot come any closer to agreeing on these issues. As a consequence, pragmatism has appeared in President Hassan Rouhani’s diplomacy, which is based on the understanding that although Iran plays an important role in the Greater Middle East, it is not the only role. Iran’s Ministry of Foreign Affairs recognizes Turkey’s right to conduct its own military policy, which to a large extent depends on Ankara’s obligations in accordance with its NATO membership and allied relations with Washington. This determines the predictability of Iranian diplomacy with regard to Turkey, for which the priority of bilateral cooperation is expanding economic and trade relations. Tehran has a lot of experience in just that. President Hassan Rouhani’s return visit to Ankara confirmed this. The goal then was to double Turkish-Iranian trade up to 30 billion dollars per year. They also discussed the fight against terrorism and extremism in the region, as well as the situations in Egypt, Syria and the Arab states of the Persian Gulf. However, Ankara is concerned about prospects for Iranian and Turkish relations after a possible improvement in relations between Iran and the West. It is clear that after the partial lifting of financial and economic sanctions against Iran, Tehran’s sway in regional processes could seriously increase. As a result, Turkey may lose its status as a regional superpower. According to a number of Russian experts, the differences in possible development models for Iran and Turkey favor Tehran first of all, in terms of foreign policy. And rivalry between Turkey and Iran is developing along parallel lines. This forces the U.S. and the E.U. to come to terms with the idea that in the near future, they may have to deal with one of these Islamic countries’ hegemony in the region. Another regional leader, Saudi Arabia’s claims are based on support for radical Islamic forces. Its support from the West is temporary in nature, for example, as regards Syria and Iran. In these circumstances, some in the U.S. and Europe consider Iran a sufficiently predictable and reliable partner. The West, of course, bound by allied obligations with NATO, would prefer to make a choice in favor of Ankara. But Iran does not intend to back down. This is why its market attracts western companies, so that they, in turn, would fight for the relaxation of the extremely strict financial and economic sanctions against Iran. Russia is, at the same time, developing a policy of partnership with both Iran and Turkey. Moscow is interested in strengthening political cooperation between Ankara and Tehran, while the American administration considers any Iranian and Turkish interaction on key issues of the Middle East unacceptable. However, differences remain, firstly on the Syrian issue. And they may get even worse, if Ankara does not abandon plans to forcibly overthrow the legal Government of Syria and to grant independence to Iraqi Kurdistan. But, in spite of Turkey’s serious economic ties with Moscow and Tehran, Ankara continues to focus only on the Syrian opposition, and sometimes serves as a conduit of American national interests. This convinces us of the need to strengthen bilateral relations with Iran in all fields and make them a strategic partner. In the future this process could include Turkey, where, in case of a substantial reduction in western influence, national interests could quite possibly take priority over NATO allied interests. Only after that would it be possible to build a new system of regional security on a trilateral basis for the purpose of establishing peace and stability in the Greater Middle East, excluding any armed conflicts, developing mutually beneficial economic cooperation and strengthening integration processes, as well as strengthening ties in the fields of science, culture and sports. Of course, in the Greater Middle East as a whole as well as in its individual parts (for example, the southern Caucasus), significant security threats remain. This is due to unresolved Afghan, Iraqi and Syrian problems, lack of regulation in the Iranian nuclear crisis, as well as the Nagorno-Karabakh issue and Georgia’s territorial integrity. But this only underlines the urgent need to establish a new regional security system there, based on the national interests of all states, and independent of their affiliation to any military-political associations and unions. “A platform for stability and cooperation in the Caucasus” could be its basis, as proposed by Turkey in August 2008. There is no doubt that activating OSCE Minsk Group’s work, a significant improvement in Russian-Iranian and Russian-Georgian relations, and strengthening integration processes in Central Asia and the Southern Caucasus will significantly reduce the potential for conflict in the Greater Middle East with a view to finding a peaceful solution to the current problems. There will be additional opportunities for this once Armenia, Kyrgyzstan and possibly the Republic of Tajikistan join the Eurasian economic union, which is currently in its formation stage. In this way, Russian-Iranian cooperation for regional security is further reinforced. This allows us now to think about “constructive” partnership between Russia and Iran and to raise the question of the viability of establishing a strategic partnership between our two countries in the future.